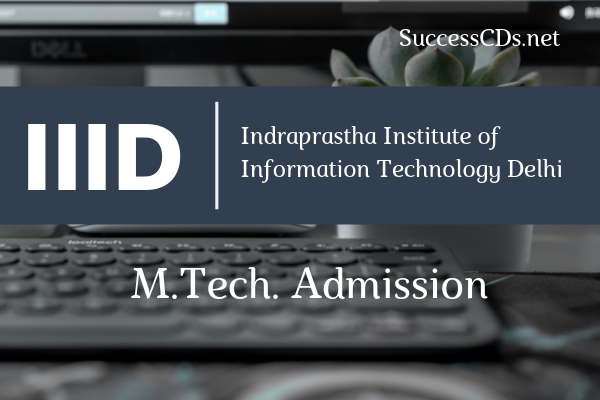 IIIT Delhi M. Tech Admission 2019 - Indraprastha Institute of Information Technology, Delhi (IIIT Delhi) invites applications for admission in M. Tech (CB, CSE & ECE) Program for the academic year 2019-20. Life Science is increasingly becoming an interdisciplinary field requiring knowledge of biology, computation and mathematics as well. M. Tech CB Program integrates applicable knowledge from these three main areas we at IIIT-Delhi empower students with tools and techniques from these fields enabling them to solve problems in the interdisciplinary field of computational biology, which is in demand from both academia and industry. IIIT-Delhi subscribes to the view that a Master degree is primarily industry-focused, though it can be used as a stepping stone for research as well. The decision whether the degree is to be pursued for skill and knowledge upgradation or also for building research skills should rest with the student. 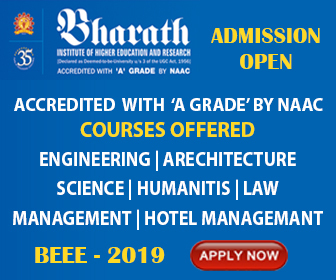 Admission to MTech (CB) is also conducted through Combined Entrance Exam 2019-20 conducted by Jawaharlal Nehru University (JNU) supported by Dept. of Biotechnology. Admission to remaining seats will be through IIITD regular M. Tech admission process. The selection for M.Tech admission will comprise of three stages. The applicants will be screened on the basis of their previous academic record. Applicants with valid GATE score/ GPAT/CSIR-NET will be given additional weightage. A maximum of 100 applicants will be invited to IIIT Delhi to participate in the second stage. The screened candidates have to appear for a written exam at IIIT-Delhi. Depending on the results of this test, a maximum of 60 candidates will be invited to take part in the third stage, which will also take place in IIIT Delhi. 1st test will cover basic Biology, Engineering Mathematics & Computing Skills. 2nd test will be an aptitude test (will cover Mathematics, Analytical Abilities and Comprehension Skills). The draft (hard copy of application form is NOT required to send) should reach IIIT-Delhi at the following address latest by 01st May 2019 by 05.00 pm, otherwise the application might be rejected without screening "Assistant Manager (Academics), A-107, Academics Building, IIIT-Delhi, Okhla Industrial Estate, Phase-III, New Delhi-110020"